CUSABIO offers a wide range of diagnostic kits for food safety & drug residues in feed and food. CUSABIO develops effective solutions for the analysis of food and feed samples. The CUSABIO elisa kit are especially designed to meet high quality demands in feed and food testing focusing mainly on chemical contaminants comprising on natural and artificial contaminants. Our main lines are antibiotics, mycotoxins and hormones testing solutions. 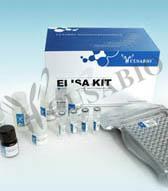 Please click here to find 8 reasons to choose CUSABIO's ELISA kit.